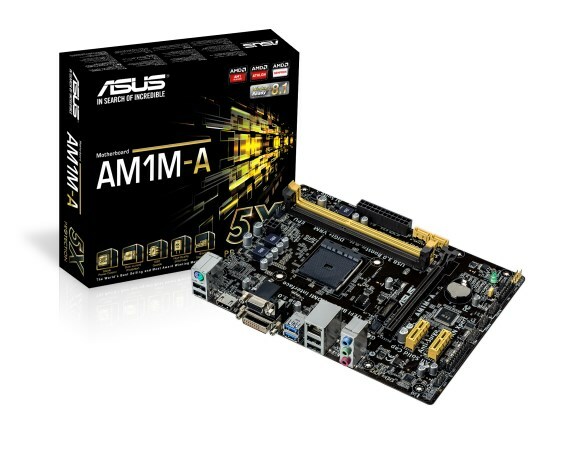 ASUS today announced AM1M-A and AM1I-A, two exciting new motherboards that support the latest AMD AM1-socketed SoC (system-on-a-chip) Athlon™ and Sempron™ series Accelerated Processing Units (APUs). These revolutionary APUs with AMD R Series graphics combine high processing power, advanced Microsoft® DirectX® 11.1 graphics, and Fusion controller hubs (FCHs) in one small, efficient package — improving performance by over 50% compared to the previous (‘Brazos 2.0’) generation of AMD APUs. With low power consumption and excellent graphic performance from the APUs, both AM1M-A and AM1I-A are great-value choices for desktops and home-theater PCs (HTPCs). 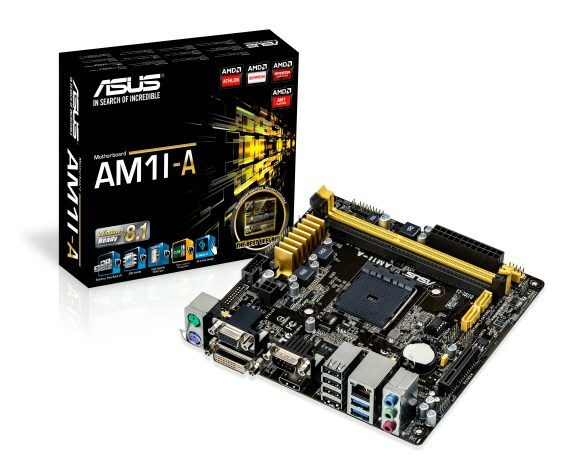 AM1M-A and AM1I-A have been engineered to the very highest quality standards and are packed with exclusive features, as ASUS customers both demand and expect. ASUS 5X Protection safeguards sensitive components from short-circuits, electrical surges and similar risks. It includes ASUS DIGI+ VRM (voltage-regulator module) to ensure a smooth power supply to the processor, overcurrent protection to prevent short circuits damaging the RAM, electrostatic-discharge (ESD) guards, high-quality solid-state capacitors and corrosion-resistant input/output (I/O) shields – a combination of technologies that provide the very best reliability and durability. USB 3.0 Boost with UASP Mode accelerates the already-fast speed of USB 3.0, intelligently optimizing transfer commands so that more data can be sent and received in shorter times than is possible with other motherboards. The new ASUS motherboards also include a brilliantly easy-to-use UEFI BIOS that presents a friendly graphical interface, allowing users to set up shortcuts and favorites for quick access to the options that are used most often. They also benefit from AI Suite 3, an exclusive ASUS dashboard-style control panel that lets users fine-tune almost every aspect of an AM1M-A- or AM1I-A-based system for the best balance between performance, stability and efficiency — all via a simple and intuitive interface.